It was the official West over 35’s touring side taking on the Northern Ireland league champs, the Civil Service (CS) team. Well I say official, but of course it wasn’t official coz Peter O’Harrow would be missing from the official team* of Owen, Logers and me. So with Owen wrapping things up, myself and Alan (Harpo) Taylor went to get changed. Well when I came back the 5th was in full swing as Dave had won the 4th 11-4 and was up 8-5 in the last. But although both men were breathing hard there was a lot of pride to be played for and Owen’s match head was well and truly on as he forced his style back on the match to come back and win the game 11-9 and the tie 3-2 (Dave’s wife signed him up for the gym the next day!). In the 2nd I changed rackets to the Dread Vapor. 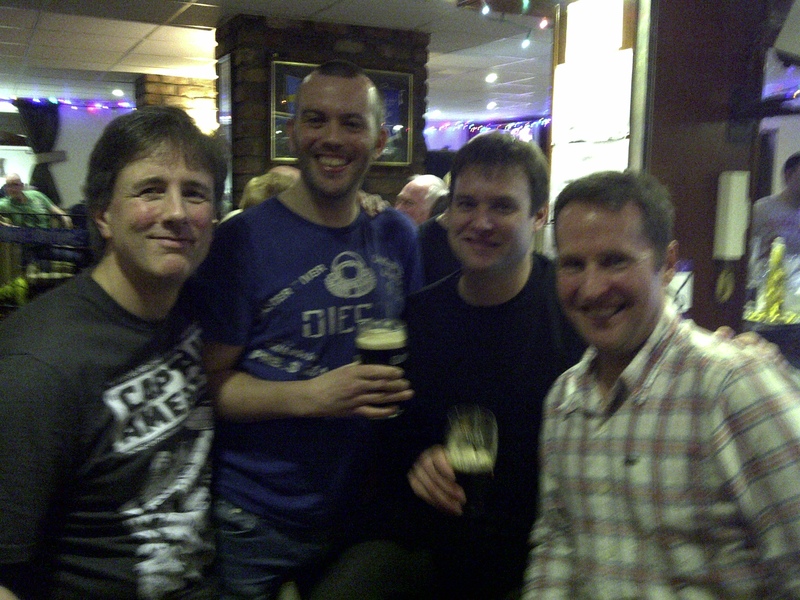 Logie, who was marking, decided not to play the ‘out’ rule and Al offered to buy him a drink as a thanks! It was another good laugh on court and at 12-12 Alan asked if I was nervous! Fortunately I held my nerve and won the game 14-12. 3rd game and 3rd racket as I moved onto the Vapor (Alan was checking the rules). There was a couple of good jumps into cross court volleys nics to report, but other than that and a bit more banter I won the game 11-8 and the tie 3-0 (and the whole match was secured as well 2-0, as there were just 3 players). He must have got the message as from that point on there was no stopping him! He won the 3rd 11-9 and stormed the 4th 11-9 (having been 9-3 up) and so to the 5th! Both lads had put a few km in at this point, but the same match facts were obvious. If Logie could get the ball straight and deep he’d win and if Jarvis could volley him short and tight he’d take the honours; and at 8-5 both men were doing their thing. Unfortunately it was a result for the ‘Common People’ as Stevie/Jarvis took the game 11-8 and the match 3-2. So a mountain of Chinese later and we hit Horatio Todds or the rest of the night. 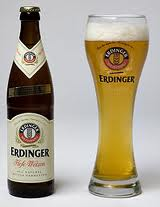 I invented a new drink mixing Guinness and a dash of Erdinger together and am calling it a Guinn-ding-er! PS – Top Tip (Viz stylie): Always look through a backpack/bag you last used for outdoor pursuits and haven’t used for a while incase there is a 10 cm penknife in it and it’s confiscated while going through airport security! They generally frown on that sort of thing!